Is your Palm Coast or Flagler County home being over run by bugs? No matter what kind of pest problem you may have, we can handle it-from fire ants in your lawn to ants in your pantry, as well as fleas, cockroaches, carpenter ants....you name it. Would you like your lawn to be greener and pest free? We can help in that area also. Are termites a concern? Just because they are not swarming does not mean you don't have a problem. Call for inspection and/or treatment. Ask about our once-a-year fire ant treatment! Are you thinking about getting a termite treatment? Do you have a renewal due in the near future? I have very competitive pricing using America's #1 Termite Defense-Termidor! 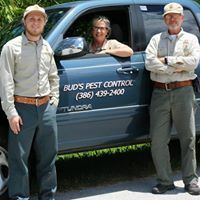 Welcome to Bud's Pest Control! We have successfully been servicing homes in the City of Palm Coast, Flagler and Volusia Counties since 2006. With proven success, we can handle anything from inside pest control, using Child Safe and Pet Friendly products, to termite treatments, lawn spraying using only the best quality pest control products. We accept-Visa, MasterCard, American Express, and Discover! Pest control rates do not include extra treatment for carpenter ants or fleas, or bedbugs. Payment is due upon completion of service unless prior arrangements are made. Payment plans are available with approved credit cards. Ask about details. 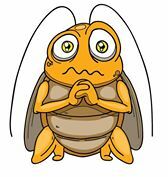 No long term Pest Control contracts, get the service you need when you need it! Some insects, such as fleas, love to live in cracks and crevices or in carpet fibers. When treating for them, I always recommend a good carpet cleaning as well as pesticide application. Any questions or concerns, please feel free to contact us!